Jessi Colter is an American country music artist who is best known for her collaboration with her husband, country singer and songwriter Waylon Jennings and for her 1975 country-pop crossover hit "I'm Not Lisa". Jessi Colter was born with the name Mirriam Johnson on May 25, 1947, in Phoenix. (She adopted the stage name Jessi Colter after her great-great-great uncle who was in Jesse James' notorious outlaw gang.) Her mother became Sister Helen, an ordained Pentecostal minister, and Colter became the church pianist at age 11. As a teen, her musical talent impressed rockabilly guitar star Duane Eddy, who produced her 1961 single "Lonesome Road." They married in 1963. He wrote and recorded an instrumental, "Mirriam", while she wrote some of his album tracks, as well as "No Sign of the Living" for Dottie West. In 1967, Eddy and Colter recorded a duet single, "Guitar on My Mind," but divorced the following year. She married Waylon Jennings on Oct. 26, 1969, at her mother's church. In later years, she let her recording career slip, largely to nurse Jennings through his various substance abuse and medical problems, but she remained part of his stage show. In the '90s, she began writing and performing children's music. She sang on Jennings' live album in 2000, two years before he died. She added a new version of "Storms Never Last" to a Jennings tribute album in 2003. That same year, Capitol Records released the retrospective The Very Best of Jessi Colter: An Outlaw ... A Lady. 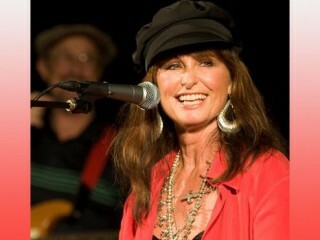 View the full website biography of Jessi Colter.